Easter Vigil is a special night. God brings us through fire and water, out of death and night, welcoming us into the light of life. This night we light a new Christ candle from a new fire. By the light of that flame we gather to remember who we are and where we have come from by telling and enacting the stories of creation, exodus, a prophet and a fiery furnace. We gather at the baptismal font to remember being washed with the waters of grace and life. We hear Christ welcoming Mary: calling her by name, bringing her out of weeping into the joyous light of Easter morning. 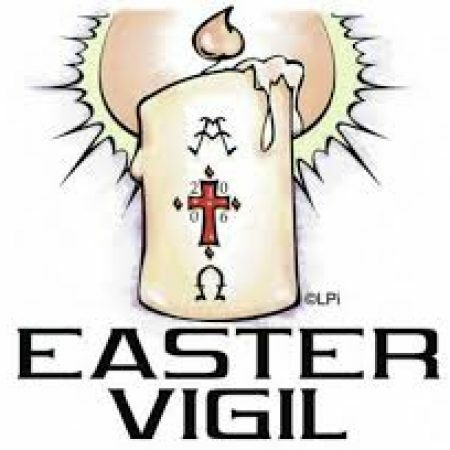 Through the drama of Easter Vigil, we are invited to honest reflection and real renewal. On this night we remember that God’s great story holds all of our little stories: the joy and fear of a new baby, changing jobs, cancer, celebrating friendship, waiting for new faith to emerge. All of us are written into God’s ongoing and welcoming narrative of passionate grace and service. The St. John’s Easter Vigil is child friendly and about 90 minutes in length.